Electronics For Imaging (EFI) is about accelerating digital transformations in industries where colourful images really matter. Our 3,400+ worldwide team members prove our commitment to you every day by developing breakthrough technologies for the manufacturing of signage, packaging, textiles, ceramic tiles, and personalised documents, with a wide range of printers, inks, digital front ends, and a comprehensive business and production workflow suite that transforms and streamlines the entire production process, increasing your competitiveness and boosting productivity. Powering this transformation of our industry is our commitment to reinvest a significant portion of our revenue into research and development every year. We don’t just see that as an investment in our company. It’s an investment in yours as well. The EFI experience is one where hardware, software, maintenance, support, educational services, and system integration all come together. You get: One contact. One partnership. One stellar success. From Fiery to super-wide inkjet, from the lowest cost per square foot to the most automated business processes, from textiles to ceramic tiles, EFI has everything your company needs to succeed. EFI Fiery® Servers and Software remain the world standard for colour across every single category. EFI Productivity Software is by far the industry’s dominant force, providing our customers with mission critical capabilities and total operational visibility. Over 75% of the top 400 print businesses in North America use EFI Productivity Software. EFI Inkjet Printing and Proofing printers are leading the way worldwide as well: from green LED printers with an unbeatable TCO, substrate versatility and use of resources, to printers that astronomically cut the cost of label production, to producing over 1/3 of the world’s high-end UV and LED inkjet wide format printers, to high-quality digital machines that provide an overall solution for the whole textile and soft signage process. We’re also the world’s largest manufacturer of UV and LED inks, and we’ve revolutionised printing on ceramics. Our Self-serve and Mobile Printing systems are used by millions of people every day and our mobile and cloud printing software enables printing to any printer anywhere. 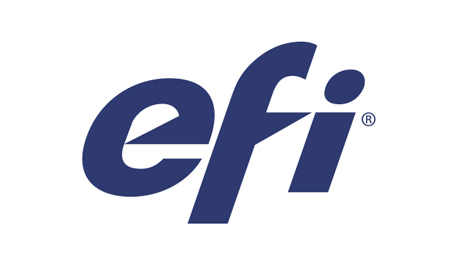 EFI offers world-class support and industry best training and services that help maximise your investment and drive your growth.